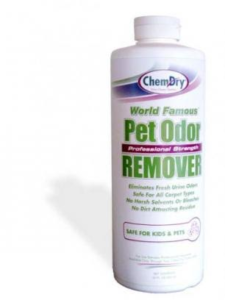 You can purchase through Chem-dry Excellence a bottle of the World Famous ‘Pet Odour Remover‘ so that the next time your pet has an accident you can treat it yourself in between carpet cleans. It works fantastic when used on fresh stains. 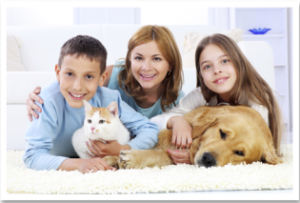 It is still best to get your carpets cleaned every 6 months with pets.